﻿ Long Last Shine Control Daily Scrub Review: Does It Really Work? Neutrogena Deep Clean Long Lasting Shine Control Scrub is marketed as an oil-free scrub that’s gentle enough for daily use. This cleanser sweeps away dirt and impurities and soaks up excess oil thanks to its rice protein technology. Neutrogena Deep Clean Long Lasting Shine Control Scrub is a unique daily cleanser that sweeps away impurities and prevents excess oil production throughout the day by using rice protein technology. For best results, apply Neutrogena Deep Clean Long Lasting Shine Control Scrub to your wet face. 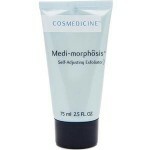 Gently massage the product into your skin in small, circular motions, avoiding the delicate eye area. Rinse the product thoroughly and follow up with your preferred moisturizer. For optimum anti-aging and brightening results, be sure to follow up with an SPF of at least 30 during the day. Neutrogena Deep Clean Long Lasting Shine Control Scrub retails for $8.49 per 4.2 fl. oz. of product on several very well known skincare retailer websites. Polyethylene: These tiny micro-beads remove dirt, oil, and other pore-clogging impurities. Rice Protein: This ingredient is intended to prevent excess oil production and shine. 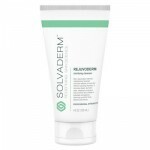 This product deeply cleans pores and prevents buildup of impurities. 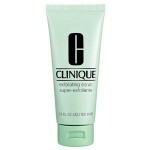 This cleanser reduces excess shine and oil production. Neutrogena is a very well known, trusted skincare brand. This product contains known irritants, such as menthol. This cleanser contains plastic micro-beads, which are known to cause harm to the environment. There is little evidence to suggest the rice protein technology can actually absorb oil. 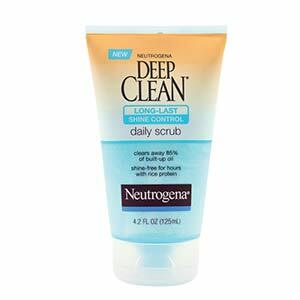 Neutrogena Deep Clean Long Lasting Shine Control Scrub claims that it can cleanse the skin, exfoliate, and prevent excess shine during the day. Although this may sound like the perfect multi-tasking cleanser for those of you with oily skin, there are several issues we’d like to address before you consider purchasing. This cleanser contains known irritants, such as menthol, that may cause those with sensitive or acne-prone skin to break out or experience adverse reactions. 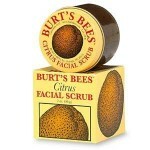 Additionally, this formula contains plastic micro-beads to perform the exfoliating action. These little beads are known to cause harm to the environment, and are not recommended for use. Lastly, there is little supporting evidence that the rice protein technology included in this formula can actually absorb excess oil and prevent shine. We’d recommend continuing your search for a daily cleanser that uses natural exfoliating ingredients and doesn’t contain any unnecessary irritants. Neutrogena Deep Clean Long Lasting Shine Control Scrub is available for sale on several very well known skincare retailer websites. These sites have reasonable return policies. If, for any reason, you’re not happy with your product simply return it within 30 days of purchase. Be sure to include proof of purchase with your return.